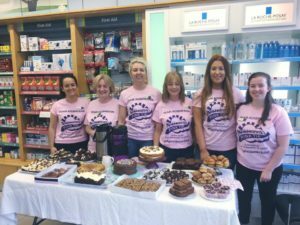 Haven Pharmacy Brennans in Ballyboden held a Bake Sale in store on Friday 3rd of August to raise funds for Aoibeann’s Pink Tie. 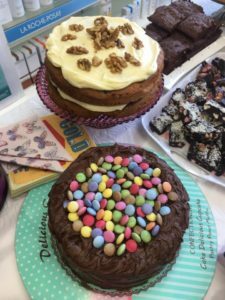 It was a massive success and €1,110 was raised in total! Haven staff members Sonya Beatty and Louise Walsh want to make a real difference. 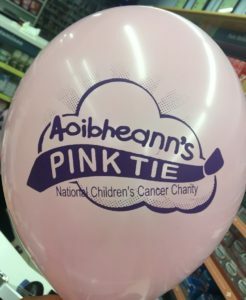 They are inspired by the work of Aoibheann’s Pink Tie and want to support them by raising money as part of their participation in the Great Dublin Bike Ride 2018. Sonya and Louise will together cycle a whopping 105km on 23rd September!!! 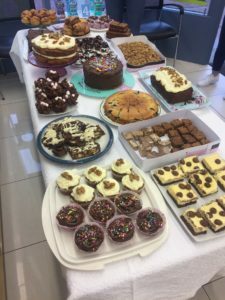 So far, Sonya and Louise have raised over €1300 and counting… well done Ladies! Best of luck to all of the #pinktiepedalers from Haven Pharmacy! 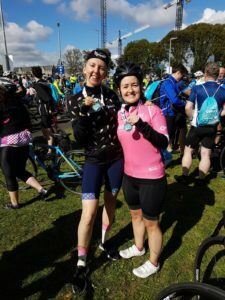 Massive Congratulations to Louise and Sonya who completed The Great Dublin Bike Ride and raised a total of €1770!